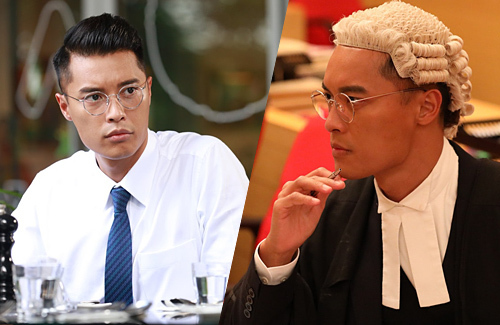 Gaining recognition since his role in Another Era <再创世纪>, Jackson Lai (黎振燁) continues to earn praises with his lawyer role in OMG, Your Honour <是咁的，法官閣下>. Experiencing another wave of popularity, the 32-year-old TVB actor finally had a breakout year after being in the industry for nine years. He thanks the producer of OMG, Your Honour in taking the risk to cast him. Receiving an average of 23.6 points, OMG, Your Honour is not considered a very popular drama. But ratings are not everything, as many viewers praise for it being thought-provoking and accurately reflecting Hong Kong’s unique ambience. The experienced and new actors supported each other well; viewers have also praised their chemistry and acting skills. If the show continues to concentrate on Grace and Ben, I don’t see the ratings ever going up. I am almost giving up on the show, I want to see legal struggles, young lawyers vs veterans and not a couple’s story that I don’t even care about. I am really enjoying this series so far. Quite impressed that I’ve been enjoying two TVB series in a row. Life on the Line and now OMG, Your Honour. Looking forward to seeing how this ends.